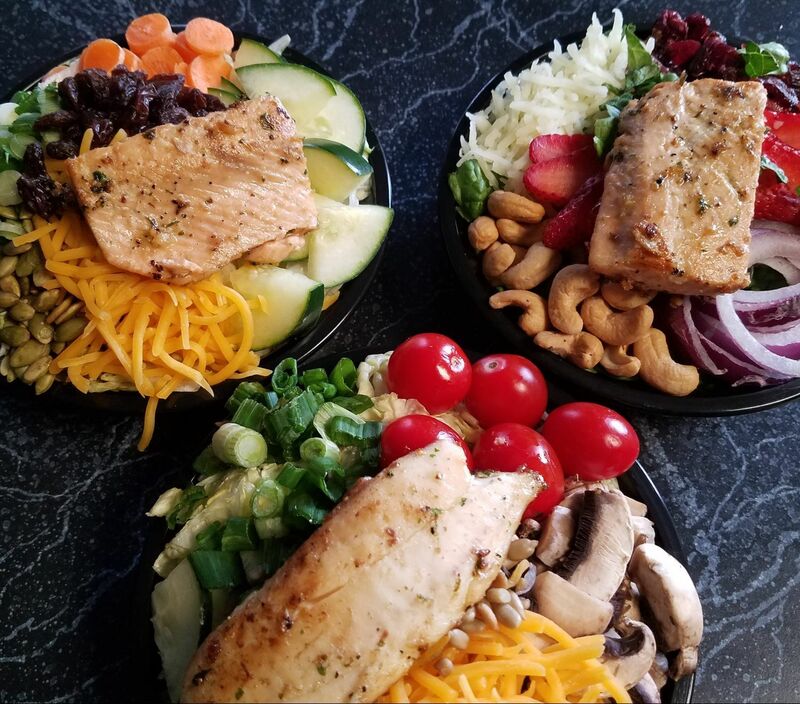 OUR AMAZING SALADS ARE HERE! Fat Predator is your place to getFresh Fruit & VegetableSalads, topped with Salmon, Tilapia, Steak, Chicken or Shrimp. Made daily, Vacuum Sealed and ready to Ship to you. (Anyway in the USA), Local Delivery or Retail Store Grab and Go! Use them for weight loss or high levels of nutrition, either way they are AMAZING!